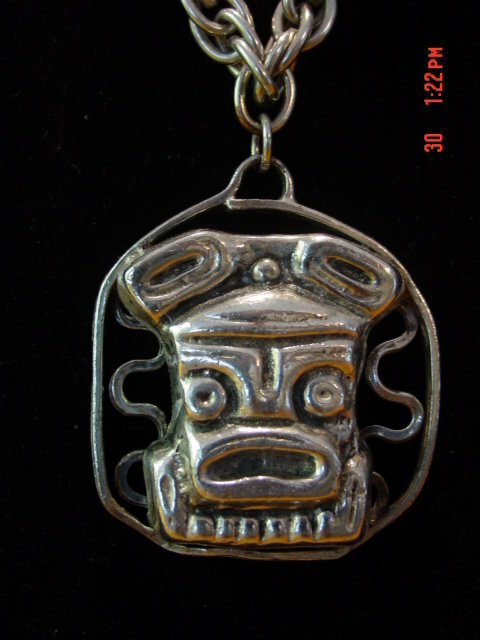 This tribal mask pendant is almost 2" around and hangs from a large link silver necklace. Together they weigh almost 100 grams. 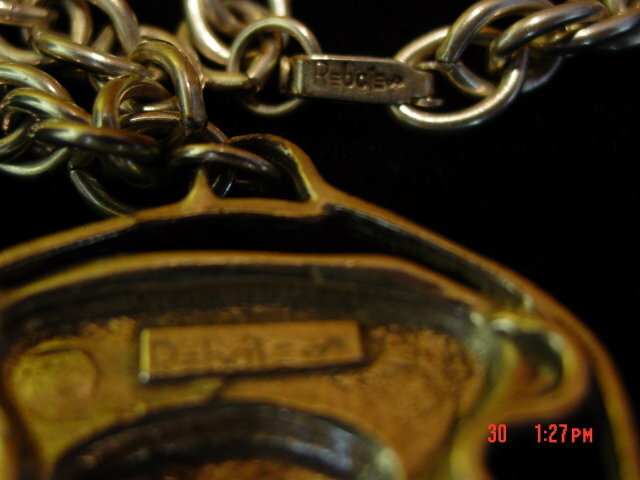 The back of the pendant and the back of the clasp on the necklace are marked Rebajes. 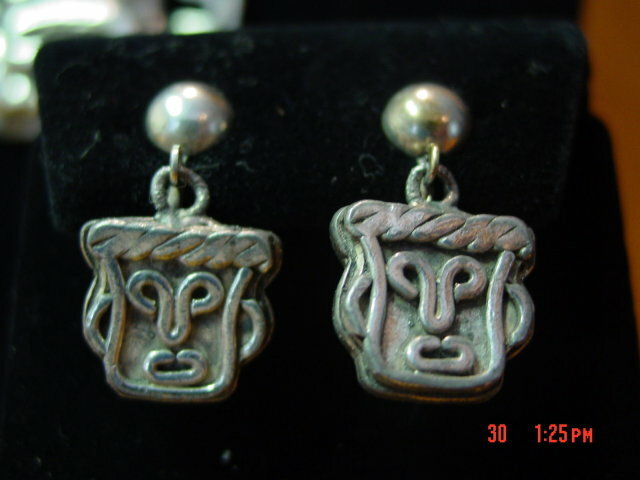 Also included are a pair of mask screwback earrings which are unmarked. I believe these pieces are sterling but have not been tested. 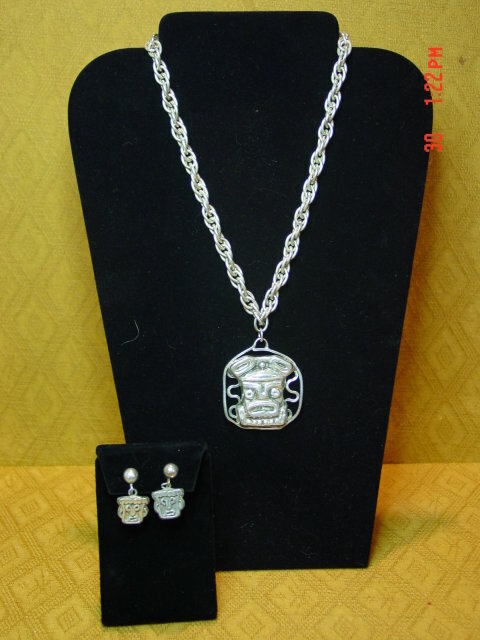 Items Similar To "Rebajes Silver Tribal Necklace & Screwback Earrings"